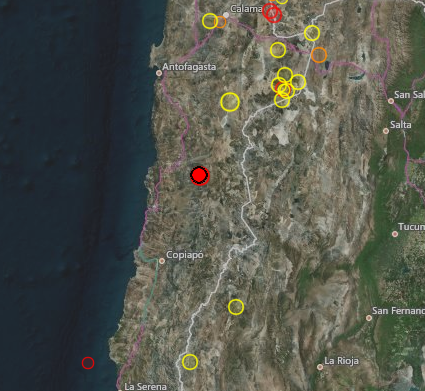 A 4.5R earthquake was reported in ATACAMA, Chile, at (25.73S, 69.45W). We expected it today at (24S, 70W). Very good prediction.